A week long Indian Film Festival showcasing Indian Bollywood blockbusters was organised by Embassy of India, Jakarta on 10 February 2019. The festival began with screening of ‘Chennai Express’ at CGV Movies, Balikpapn City Plaza. Over 250 fans of Indian movies from the school and college students watched the inaugural show of the festival. The festival will continue for a week till 16 February 2019 and some of India’s popular Bollywood hits like English Vinglish; Love Aaj Kal; Tanu Weds Manu; Barfi; Rock On and Hum Saath Saath Hain will be screened in the festival. The movies have been dubbed in Bahasa Indonesia. 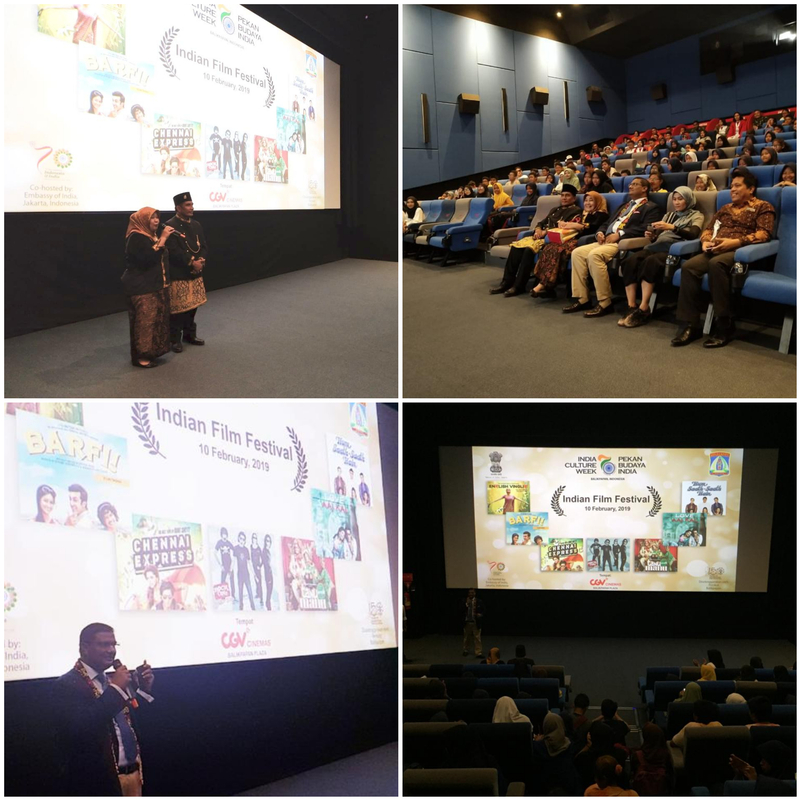 The Indian Film Festival was organized by Embassy of India as part of the India Culture Week in Balikpapan from 9-16 February 2019. The India Culture Week (ICW) will showcase different facets of arts, culture, music, dance, food, Yoga and Bollywood films spread over an entire week. It is expected that the week-long events planned under the India Culture Week would facilitate a better understanding and appreciation of India in the hearts and minds of Balikpapan residents. The Embassy of India is deeply appreciative of the support and facilitation provided by leadership of City Government of Balikpapan in organizing the India Culture Week Celebrations. Embassy closed on Saturdays,Sundays & Public Holidays.